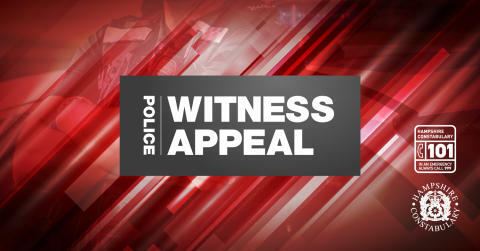 We are appealing for witnesses to a fatal collision which took place in the Oakridge area of Basingstoke. Between 9.35am and 9.50am on Tuesday 18 September, a Mini Cooper and a pedestrian collided on Normanton Road. The pedestrian, a 74-year-old man from Basingstoke, was taken to Southampton General Hospital with serious injuries where he subsequently died last night (Tuesday). The man’s next of kin have been informed and are being supported by specialist officers. Senior Investigating Officer PC Jonathan Richards, from the Roads Policing Unit, said: “This collision took place in a residential area, so we are asking anyone who lives in this area who witnessed the incident to make contact. If you have any information, please contact us on 101, quoting 44180352503, or call the charity Crimestoppers anonymously on 0800 555 111.